I have already read 4 books this month and plan to start a 5th tonight. I don’t think I’ll be able to finish it, so I’m not going to count it for this wrap-up. They were all really good and I had initially rated all of them 5 stars, but upon consideration, I docked one star from one of the books. 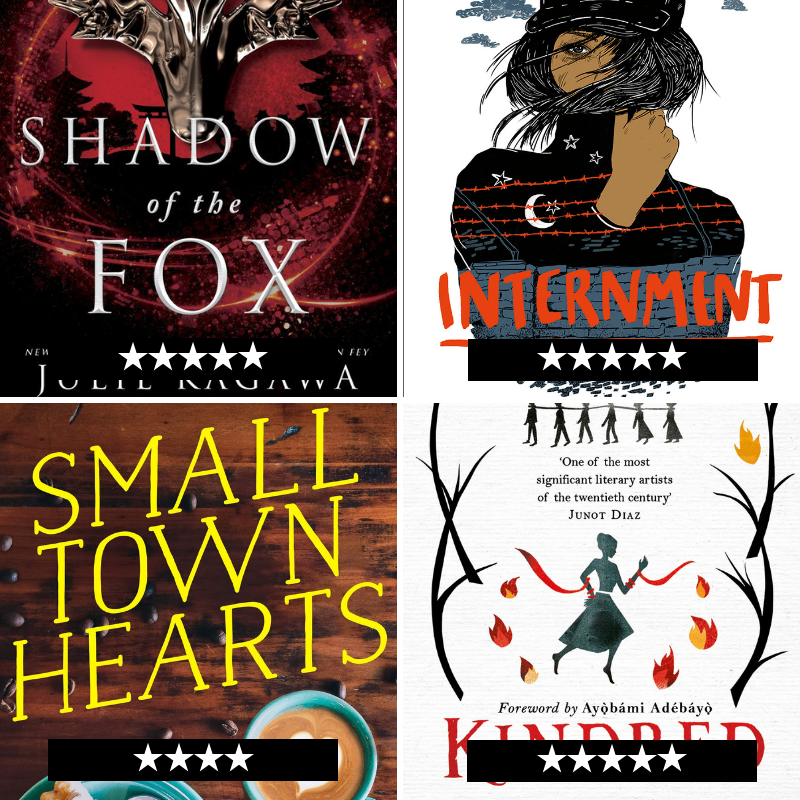 The first book I devoured, which was the fastest I have finished any book this year, was Shadow of the Fox by Julie Kagawa. It was such a page turner and an amazing feudal Japanese-inspired fantasy. Everything from the characters, the plot, the world-building and writing were A+. I will put up a gushing review for it soon. I had actually received an ARC for this via NetGalley and cannot believe I slept on it for so long! Even though I was on the Small Town Hearts blog tour, which I had to technically read first, I was in a fantasy mood, so this book by the talented debut author Lillie Vale was my second read. It was such a fun summer contemporary and perfect for the tropical weather here! It didn’t blow my mind but I’d still highly recommend it. I finished Internment by Samira Ahmed next, which I had started way back in February but set it aside as I couldn’t handle anything heavy then. It was a very powerful read and I think that everyone should put it on their TBRs. Check out my review for some more pursuasion if you need it. 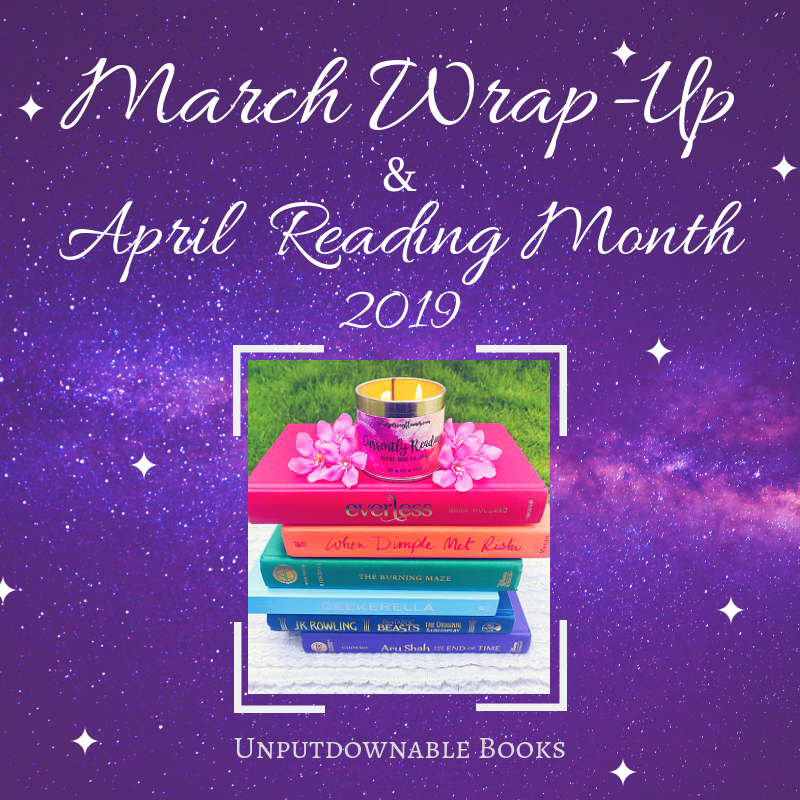 The latest book I read was Kindred by Octavia Butler, Stars and Sorcery’s first sci-fi pick and the March book of the month. Reading both this and Internment at the same time really drained me but this was yet another unforgettable read. It presents the stark reality of Black slaves in America in a time-travel narrative that chilled me to the bone! Another must-read if you can handle the disturbing content because I feel we all should know just what atrocities we as human beings are capable of and how bad our history really was. 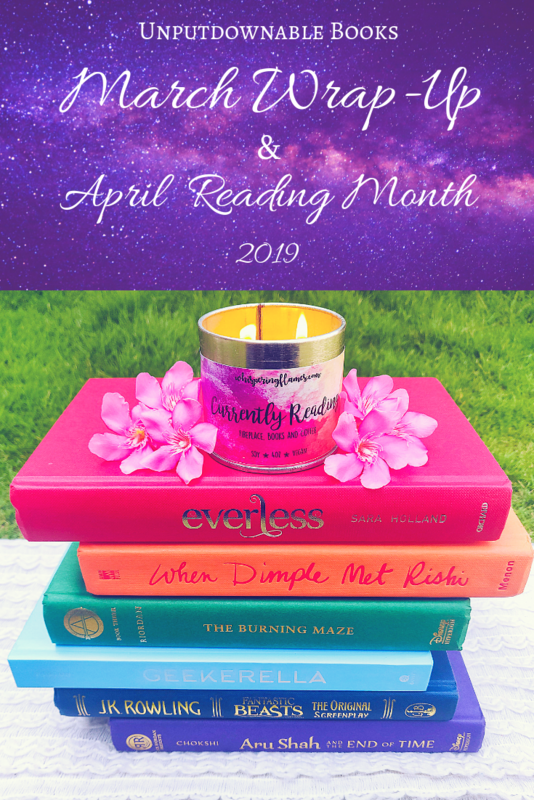 Overall, I had an excellent reading month and plan to take that momentum forward into April as well. I crossed 850 followers on the blog this month and I’m feeling so blessed for everyone’s continued support! I haven’t gone blog hopping for the second consecutive month, which I’m embarrassed to admit, but I’m skipping this section again. Sorry, dear readers, but I’ll bring it back in April for sure! 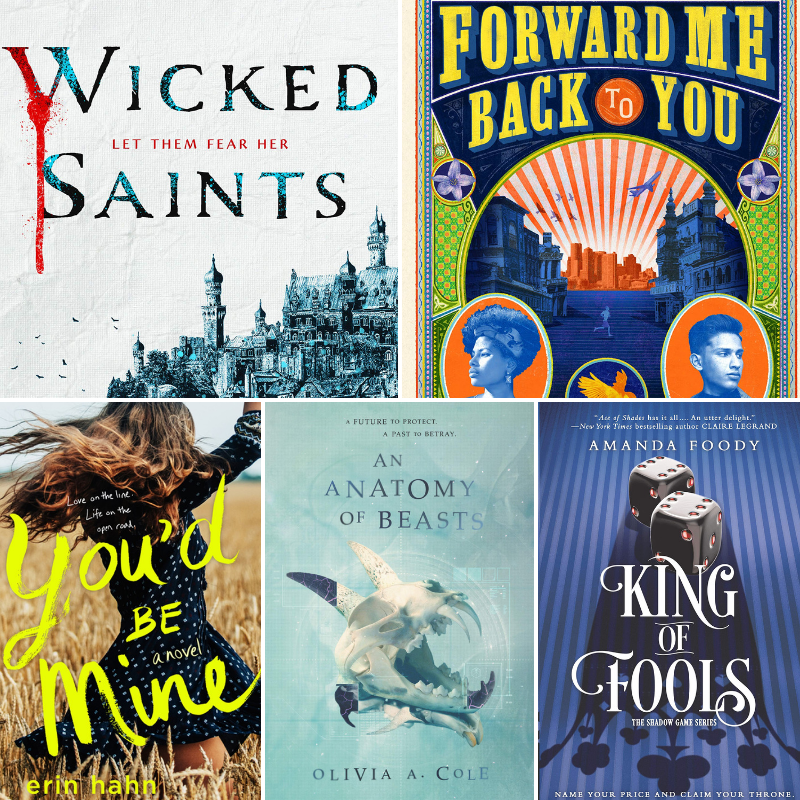 I will not be mentioning books from my 2019 anticipated fantasies or contemporaries list that I posted in January. Check out the relevant links for those books! I will be finishing my current read, an ARC of Aru Shah and the Song of Death by Roshani Chokshi (thanks again to Jenna @ Falling Letters for this!) first. I’m taking part in the OWLs readathon hosted by Book Roast again this April and I plan to study the required subjects to be an Astronomer. I need to finish Arithmancy, Astronomy and History of Magic for that. I’ve chosen to read my Hungry Hearts ARC for Arithmancy, All the Wandering Light by Heather Fawcett for Astronomy and either How to Train Your Dragon by Cressida Cowell or The Queen of Attolia by Megan Whalen Turner for History of Magic. Here is the announcement video so you can know more if you’re curious how this works. Besides that, I need to read the Stars and Sorcery pick for April, which is How Long ‘Til Black Future Month, a short story collection by the legendary N. K. Jemisin. I hope I can finish all of these in time! How was the month of March for you? What kind of books are you gravitating towards as it’s getting warmer? What plans do you have for April? If you do monthly wrap-ups on your blog too, please leave a link in the comments section so I can check it out! I hope to get it fixed. It might be down next week, but we’ll see how it goes. Take care of yourself Nandini. March was kind of stressful for me cause I went back to school but I also started blogging again. Basically it was a month of many changes.